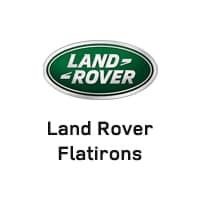 Land Rover Flatirons is committed to the principles of the Land Rover brand itself – quality, consistency, precision, luxury, and accomplishment. In everything we do, we strive to provide you with the very best dealership and auto ownership experience possible. That is why we have become one of the leading dealerships serving Boulder and Denver. We even stand out compared to other premium dealerships. If you’re searching for a premium luxury SUV with unprecedented levels of performance, as well as an automotive team that simply does things better, you’ll find what you want at Land Rover Flatirons. Visit us to tour and test drive the complete lineup of new Land Rover vehicles. Across the board, these SUVs blend power, capability, and luxury like no other vehicles on the road. We also have an extensive inventory of pre-owned vehicles from lots of major automakers, including many luxury brands. Shop lots of exciting options at your leisure online, or browse our inventory in person in our lot and showroom. Our financing process has been streamlined to save you time and hassle. And our service center is the area’s top source for repairs and maintenance performed by professional technicians. Rely on us for official Land Rover parts and accessories as well. In dozens of different ways, we have optimized the way drivers find, buy, and own a vehicle. To truly understand what makes us different, you really need to visit us in person at our dealership, just 15 minutes from both Denver and Boulder. Count on being impressed by our facility, our staff, and our approach to doing business, and make us the first and only dealership you seek out for impeccable service, expert assistance, and a winning combination of performance and luxury.